NBC's huge preview last week of "Little Big Shots" actually grew 16 percent in total viewers for the series' time period premiere on Sunday — and that was without a "Voice" lead-in. Yesterday's Episode 2 was actually the network's biggest Sunday entertainment show in 11 years, not counting post-Super Bowl broadcasts. The Steve Harvey-hosted series scored a massive 2.8 rating/9 share in the advertiser-coveted 18-49 demographic last night, and hauled in 14.8 million viewers overall. Last Tuesday, the series debut aired at 10 p.m., following two hours of the hit singing competition. Then, it grabbed a 2.9/10 and 12.7 million total viewers. CBS won the first half-hour of primetime last night with its NCAA Tournament selection show, despite the bracket leaking early online. NBC was first in ratings with a 1.5/5 in the key demo and in total viewers with an average of 7.8 million, according to preliminary numbers. 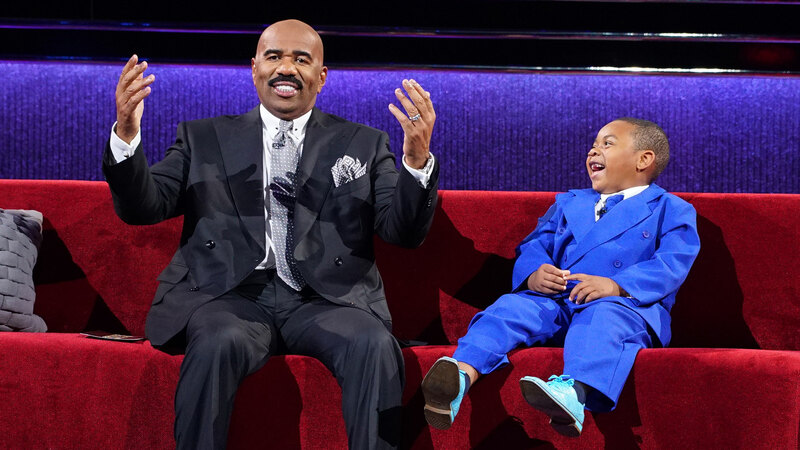 Following a rerun, "Little Big Shots" aired at 8 to the above numbers. At 9, "The Carmichael Show" had a 1.5 and 6.7 million viewers. At 9:30, a second episode got a 1.1 and 4.6 million viewers. "Hollywood Game Night" at 10 received a 0.9/3 and 3.4 million viewers. ABC and Fox tied for second in ratings, both with a 1.1/4. ABC was third in total viewers with 4.4 million, Fox was fourth with 2.5 million. CBS was fourth in ratings with a 1.0/3, but second in viewers with 6.3 million.